Financial advisors today do more work than ever for their clients, leaving little appetite for time-intensive services that clients may not want and provide limited value to the advisor’s practice. Unfortunately, holistic financial planning often falls victim to these three well-traveled myths. In today’s article, we’ll refute each of these and demonstrate how financial planning adds value to both advisors and their clients. 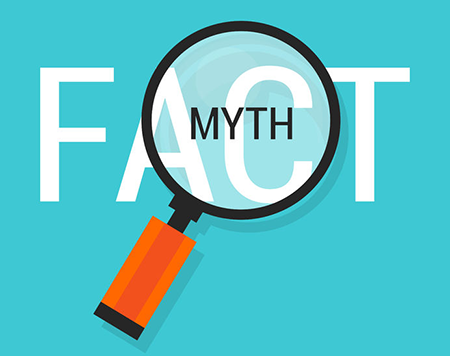 The time myth is often tied to the sharp learning curve associated with adopting new technology. The time myth is often framed as the friction connected to implementing new technology. However, today’s planning solutions are simple, collaborative and quick. Building a financial plan in Advizr takes as little as 30 minutes. The value created by adding planning to the advisory practices dwarfs the upfront investment. Plans that used to take hours can now be created in minutes. Client meetings are more focused on each client’s financial priorities. Financial plans provide a bias-free reason to have difficult conversations about spending behavior, savings targets, and portfolio performance, making them less frequent. Data aggregation solutions make it easy to pull in the details from a client’s external accounts, saving the effort of manual data entry. Client friendly online collaboration features remove the challenges associated with coordinating a time for in-person meetings and quick check-ups. Financial Plans allow advisors to illustrate how a portfolio will withstand market corrections, leading to better prepared clients and limited fire drills during periods of market volatility. Some advisors believe that if a client doesn’t ask for something, they don’t want it. Others fear the clients may question why a plan wasn’t offered sooner. Many clients don’t have a financial plan because they don’t know to ask for one. A recent survey showed that 75% of American investors don’t have a written plan, and only 13% of clients feel confident in their retirement when they don’t have a plan. These statistics highlight a massive underserved market for advisors willing to take the leap. Adding planning now is easily positioned as a further enhancement to an advisory practice always looking for better ways to serve clients. The final myth is that advisors have nothing to gain. Holistic financial planning positions client goals against the reality of their current financial condition, as represented by ALL assets, liabilities and expected income. We’ve seen how the planning process delivers value to the client, but an often overlooked byproduct is the roadmap to new revenue opportunities for the advisor. 73% of wealth management clients have relationships with multiple advisors, with 57% of them willing to consolidate provided the right circumstances. A financial plan can be the Advisor’s path to that differentiated value offering. Assets uncovered during the planning process and held at other institutions are immediate candidates for rollover to an advisor’s firm. A recent study showed that advisors managing two retirement accounts for one household have a 94% retention rate. Life, disability and long-term care Insurance gaps identified offer the chance for licensed agents to sell new products and earn more commissions. Simply acting on the plan recommendations can help advisors increase profitability while providing greater value to their clients. Additionally, financial planning can help an advisor engage the next generation of clients. Many Gen X and Millennial investors expect an engagement around their goals in life. Using digital channels to engage generations who are now moving into their prime earning and savings years can expand the sales funnel, and also help prove an advisor’s value faster; this approach works especially well in establishing relationships when positioned as part of the wealth transfer process between two different generations. Deliver one plan for a trusted long-term client and assess the value creation in your next meeting. Analyze the results and measure all new revenue opportunities identified. Advizr makes financial planning simple and it’s never been easier to get started. Click below to request a free trial today!